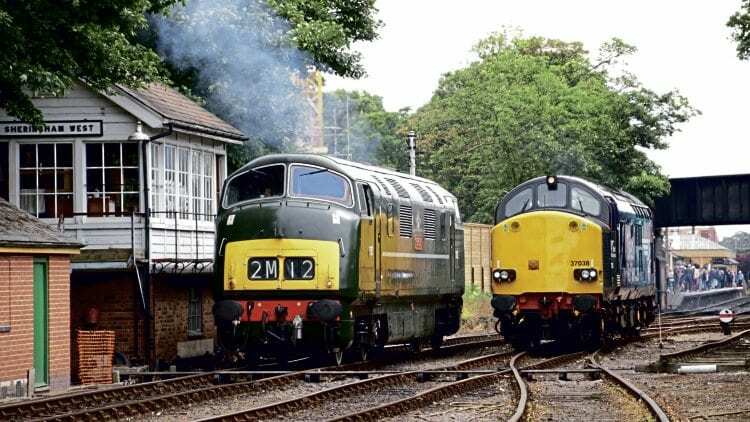 THE North Norfolk Railway’s (NNR) June 15-17 event was changed from a diesel event to a mixed traction day because of a shortage of available home fleet diesels, which became apparent in late-May. Three visiting locos included the Bury Hydraulic Group’s ever-popular and much-travelled ‘Warship’ No. D832 Onslaught. This was the first appearance of the type on the NNR, far from the class’s original area of operations. Also attending were Metropolitan red-liveried Class 20 No. 20227 Sherlock Holmes and DRS Class 37 No. 37038. In addition to having some diesel working replaced by steam, the gala clashed with several big events, railway and non-railway in the area, as well as the start of the football World Cup, resulting in a lower attendance than had been hoped. Privately owned resident Class 08 No. 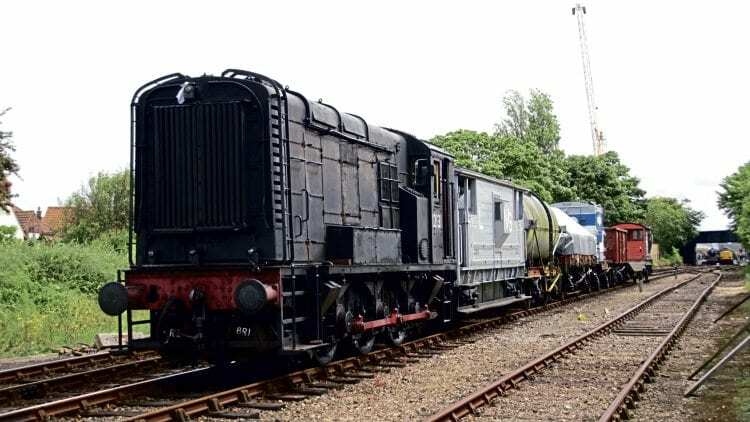 D3935 (08767) returned to service during the event for the first time in six years, working one passenger train each day from Weybourne to Holt and back.